Green coffee bean extract is a super effective weight loss supplement. Though, it’s other amazing health benefits cannot be overlooked. 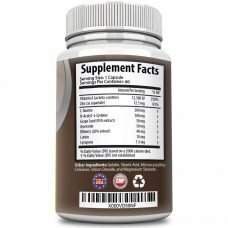 This multi-use supplement can also help provide preventative health care. We are about to reveal the facts that show the benefits of adding green coffee to your regimen. Coffee can sometimes get a bad rep for being an addictive vice. However, believe it or not, studies have shown that coffee has contributed to a lower risk of many diseases. Through more research and studies it has also become associated with heart health, preventative care and anti-aging. Coffee bean provides more health benefits than your standard supplements. Read on to find out more about what is green coffee and green coffee bean benefits. 1. What Is Green Coffee Bean Extract? Normally, we are familiar with roasted coffee beans. Roasting coffee beans give them that deep brown color, rich aroma and flavor that everyone knows. Before roasting, these coffee beans start off as green seeds tucked inside a red berry. Green coffee bean extract comes from the unroasted and unprocessed seed. The seed is soaked and concentrated to make the extract. The seed can also be crushed and taken in pill form. It is one of the most popular weight loss supplements, however, green coffee bean offers more benefits than just a weight loss aid. Green coffee can improve energy levels and increase fat metabolism. The extract can regulate blood sugar and cholesterol levels. It can also be an effective body cleansing supplement and a great source of antioxidants. Green coffee bean extract is rich with several antioxidants, compounds, and polyphenols. The most valuable polyphenol naturally in green coffee is chlorogenic acid. Chlorogenic acid or CGA is a crystalline acid that has multiple health benefits. CGAs are the primary reason green coffee bean supplements are considered fat burners and weight loss aids. A 2008 Journal of Nutrition study discovered that CGA compunds in green coffee are easily metabolized humans. In the study, 10 healthy adults were given 170 milligrams of green coffee bean extract. After treatment, the beneficial compounds of the green bean coffee were high 30 minutes to 8 hours later. In addition to CGAs, the green coffee bean contains hydroxycinnamic acids, which have antioxidant benefits. Altogether, green coffee extract contains 46% chlorogenic acids and 11% hydroxycinnamic acid. 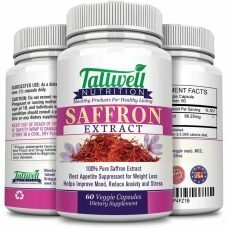 Does coffee extract have caffeine? Yes, like normal roasted coffee, there is caffeine. Most extracts have a caffeine content of 2-4%. But, as you will see below, the dosages vary with green coffee. For more information about chlorogenic acids, take a look at this article. Several studies have found that this coffee extract can help induce weight loss by curbing your appetite. It is not a suggested quick-fix way to lose weight. Green coffee bean benefits have proved effective when used alongside a healthy diet and regular exercise. An Asian Pacific Journal of Tropical Medicine study examined the green coffee bean effects on obese mice. Mice who consumed the extract had significant overall decrease in body weight and fat mass. This is largely on account of the green coffee bean’s chlorogenic acid. As we said above, chlorogenic acid is a key ingredient to burning fat. When it is ingested, it helps the body burn glucose and stored body fat. It can also reduce inflammation, which is a primary cause of diabetes and other metabolic issues. Additionally, some studies have shown chlorogenic acid can reduce the absorption of carbs in your digestive tract. This could essentially be like eating a low-carbohydrate diet. Chlorogenic acid is more prominent in green coffee beans than in roasted coffee beans. Roasting coffee beans transforms much of the chemical structure of the coffee bean. As such, there are lower chlorogenic acid levels in roasted coffee than green coffee beans. Therefore, it is better to look to green coffee for weight loss. One of the other green coffee benefits is that green bean coffee can positively impact blood sugar and insulin levels. Once again, it has to do with the green coffee’s chlorogenic acid. Chlorogenic acid curbs cravings and appetites for inflammatory, fatty foods. So the less fatty foods you eat, the more likely you are to have lower blood sugar. As the green coffee helps you maintain a healthy weight, it also normalizes your blood sugar levels. In turn, the green coffee bean extract can lower glucose levels. If you have a history of diabetes, this coffee bean extract can reduce the risks of Type 2 diabetes. The same applies for both caffeinated and decaffeinated green coffee. An Evidence-Based Complimentary and Alternative Medicine study discovered that decaffeinated green coffee beans can reverse fat accumulation and insulin resistance. In the same way as caffeinated green coffee, it reduces inflammation in adipose tissues. To find out more about how green coffee can improve blood sugar levels, check out this article. Another one of the green coffee bean effects is that it can effectively lower blood pressure. A study showed 13 out of 17 hypoglycemic patients experienced lower blood pressure after taking the coffee extract. Although those patients took an extremely high dose of extract, smaller doses are still effective. Some studies show that doses between 50-140 milligrams can be lower blood pressure over the course of 4 to 12 weeks. We saw above that chlorogenic acid has hypoglycemic agents and can improve lipid metabolism. This can also lead to an overall decrease in cholesterol and triglyceride levels in your blood. The Journal of Nutritional Biochemistry studied rats given green coffee extract for three weeks. They wanted to see the effects of chlorogenic acid on plasma glucose, plasma, liver triacylglycerols, and cholesterol concentrations. On all markers, there was a 50% reduction. 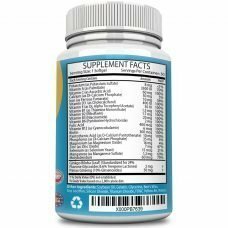 As such, this supplement could be helpful if you have a history of blood pressure and cholesterol issues. Detoxifying your body is so important. 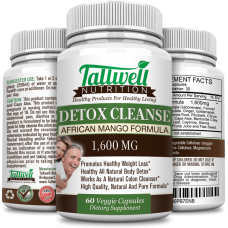 It cleans the body of damaging free radicals and any impurities while reintroducing antioxidants back into the body. The popular detox method is in juices or teas. However, a green coffee pure cleanse is just as effective. As it is full of antioxidants, the green coffee cleanse can help return your body to balanced and healthy state. Studies have identified that green coffee antioxidants can potentially slow aging effects. 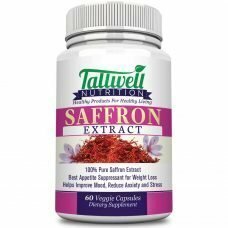 Some experts say that 400 milligrams of this extract can provide a significant portion of a person’s daily antioxidants. For more about coffee’s anti-aging benefits, check out this Impact Journal article. Just like regular, brewed coffee, coffee bean extract can be a good source of caffeine and energy. A standard cup of coffee has about 95 milligrams of caffeine. A green coffee capsule can contain between 20-50 milligrams of caffeine. However, this can vary with dosages. 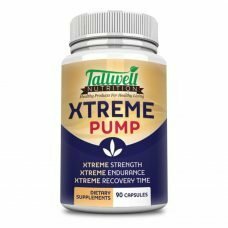 The Tallwell extract also includes about 20 mg. of caffeine in each capsule. Three or four capsules taken in one day can replace up to five cups of regular coffee. Caffeine is already considered a world-wide drug. In reality, you could think of caffeine as a type of stimulant. The American Psychological Association claimed that caffeine has significant effects on cognitive performance, psychological health, and more. Consuming a green coffee supplement along with a caffeine drink allows caffeine directly into your blood stream. From here, it can go straight to the brain and increase norepinephirine and dopamine levels. This leads to an overall increase in focus, motivation and cognitive function. The overall added energy keeps you focused and attentive, while burning of excess calories. This also makes green coffee a great alternative to roasted coffee. If you do not like the flavor of brewed coffee, green coffee can give you the same caffeine fix. The amount of caffeine in the coffee bean extract can alter your brain function in many ways. Your attention, mood, memory and motivation can be impacted by your caffeine intake. Caffeine can bring your energy levels up. It can make you feel bright and alert rather than sluggish. It can help improve your reaction times, motor control and recollection abilities. However, not everyone responds in the same way. That being said, start off with low to moderate doses and keep an eye on your symptoms. Read this Coffee & Health piece to learn more about coffee’s impact on your mood and emotions. 9. Why Should You Buy Green Coffee Bean Extract? After looking at all of its potential health benefits, green coffee bean supplements are not a one-hit wonder. True, there are other great supplements out there. But many of those supplements only provide one benefit, like weight-loss, energy, or focus improvement. Green coffee bean extract provides three or more benefits all at the same time. This is a comprehensive weight and energy supplement that also provides prevention against lifelong illnesses. Moreover, this green coffee supplement was featured on Dr. Oz two times. Dr. Oz shared a study to prove the benefits of the supplement. Using women from 35-49 years old, half of them were given the supplement. The other half were given a placebo. They were all required to keep a journal and told to not change their diets. The women who took the supplement reported losing twice the amount of weight than those given the placebo. This concludes that green bean coffee is extremely effective on weight loss. Here is how you can get the best out of this coffee bean extract. The first thing you should do is double check with your doctor about taking a green coffee supplement. The next thing to do is take a closer look at the ingredients in the green coffee supplement. Our coffee bean contains pure coffee seed extract and no additives. Tallwell products are always a good choice because they ensure that the extract is processed without excess chemicals. It really depends on your current health state, body weight, and caffeine tolerance. Studies have found that people experience green coffee bean benefits at low doses of 200-400 milligrams. There are stronger effects around 800 milligrams, which is the suggested dosage. But what do these different dosages mean? The different dosages actually depend on how much chlorogenic acid is in your green coffee supplement. If the concentration of chlorogenic acid is high, you only need a small dose. In general, you want to avoid taking more than 2,000-3,000 milligrams of the supplement. Like all things, green coffee bean extract is not perfect. Aside from the green coffee beans benefits, some green coffee bean reviews reveal the extract’s potential side effects. The primary concern resides with the caffeine content of the coffee bean extract. Just like regular coffee, the caffeine in green coffee can cause insomnia, upset stomach, and increased breathing. If you have a history of heart problems, caffeinated drinks and supplements, this could cause heart rate abnormalities. If you take more than the suggested dosage, you might also experience some constipation, diarrhea and acid reflux. Excess usage might cause anxiety, headaches, and blood pressure issues. Additionally, there are special precautions that should be taken for people with specific health conditions. If you have the following conditions, it is advised that you talk to a doctor before using caffeine supplements. You might be wondering where to buy green coffee beans. We mentioned earlier that you can find green coffee beans online or at your local health store. 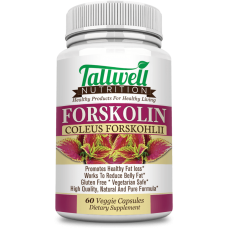 However, one of the best places to find the coffee bean extract is Tallwell Nutrition. 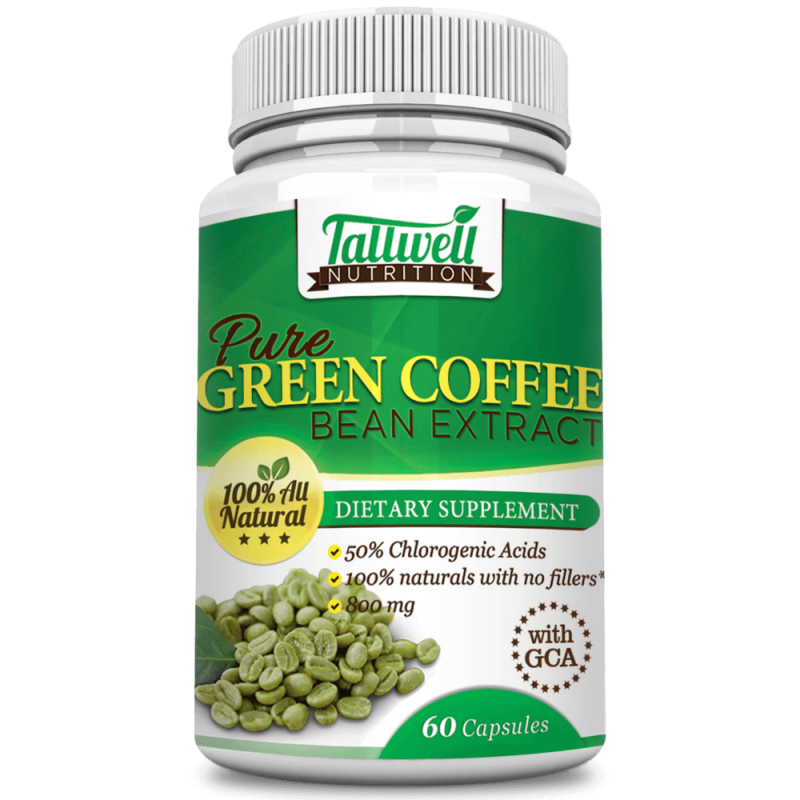 The Tallwell Pure Coffee Bean provides 800 milligrams of pure, all-natural green coffee bean extract per capsule. These capsules are made up of 50% chlorogenic acid and contains green coffee antioxidants. 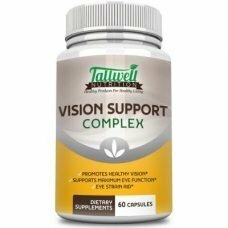 All Tallwell supplements go through a special standardization process. This ensures batch-to-batch consistency and provides extra quality control. Additionally, Tallwell products are made at a GMP certified, Good Manufacturing Practices, facility. What makes Tallwell’s extract stand out is that it is made from the arabica coffee beans. The extract is gluten-free and GMO-free. 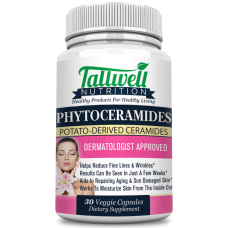 The capsules are veggie capsule and are free of any fillers or additives. 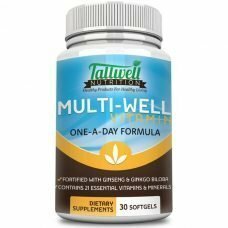 Tallwell produces all-natural supplements. What is listed is what you get. You get an effective supplement that definitely packs a punch in a small package. Green coffee bean extract provides several important health benefits. Apart from weight loss, it can go far with your health. It can regulate your blood sugar, heart health, energy levels, and improve your mental well being. Still, it is not a miracle product. It does not replace healthy eating, regular exercise and getting enough sleep in maintaining your health. Even so, adding it into your daily routine can make your weight-loss journey more efficient. It can even help bring about an overall balance to your body. If you’re looking for an all natural health, energy improving weight loss supplement. Buy now and begin your weight loss program today. Order today and get free shipping while supplies last.